So Keith Mills (Sir Keith) has a field day with the “1851 Cup” and about five minutes after his Team Origin boys win their match against BMW Oracle he gives an interview to the Times on Sunday, claiming that the only possible motive for choosing multihulls for America’s Cup 34 would be to give the Defender an advantage. But, the last time I checked, the America’s Cup team with the most background, depth of experience, and longterm success in multihulls was Alinghi (despite losing a couple of races last February). So, by this logic, is Ernesto Bertarelli called back to center stage? The jungle drums are all beating multihull, multihull, and right now the top BMW Oracle players are in San Francisco for further talks with the City and the Port about The Venue. Dare we hope they might settle this sooner rather than later? 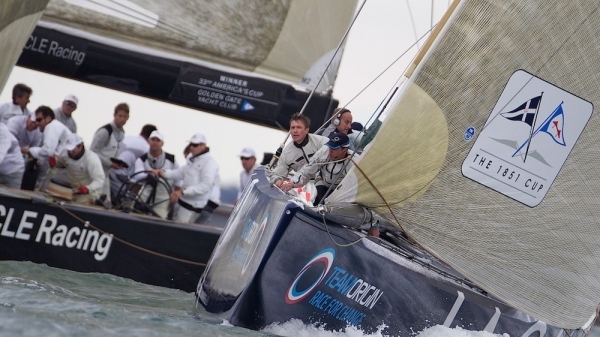 In Cowes for their private match, the Team Origin folks had a lot of face time with BMW Oracle Racing CEO Russell Coutts, and he must have given them cause to believe that the Defender is leaning toward multihulls as the platform of choice. They made clear they don’t like it. Mills first made his mark in advertising and marketing, so we know he’s not just winging it when he has his lieutenants firing salvos, though I note they were not exactly on the same page. 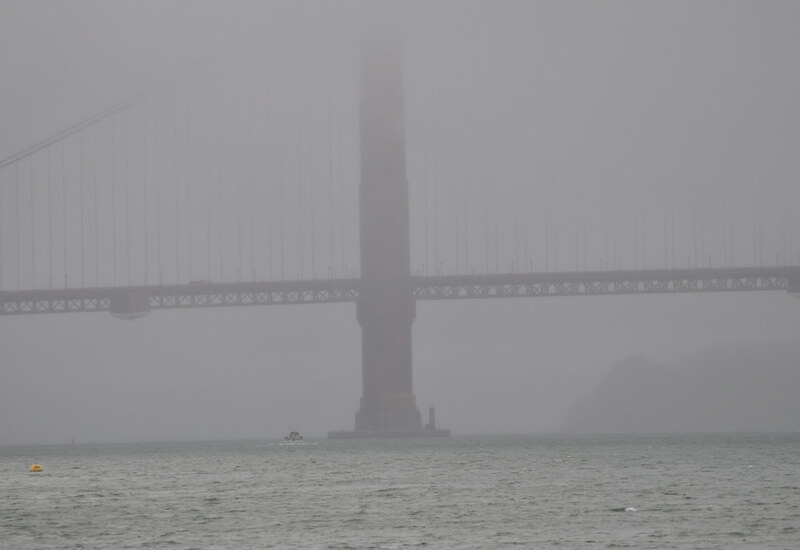 Meanwhile, I hope the Oracle folks stick to their knitting and don’t look outside. The marine layer is 2,600 feet deep.That’s not the postcard view of San Francisco Bay, but they’re selling plenty of sweatshirts at Fisherman’s Wharf this week.